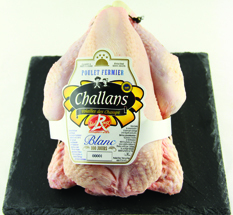 Challans poultry breeders are passionate about poultry breeding….and for proof : the Challans duckling, with its unique, delicate flesh, has become one of the most renowned poultry used in French “Haute Cuisine”. 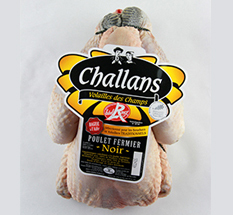 The Challans duckling has been certified Challans Red Label since 1969, like the free-range Black-Leg Chicken. 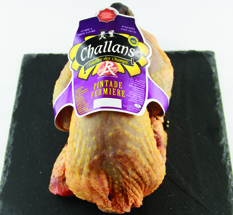 Challans Red Label poultry includes a comprehensive range of 11 products (eviscerated, oven-ready whole poultry or cuts). The best way to fulfill our consumers’ expectations in terms of varied cooking experiences and tastes : chicken, guinea fowl, quail, but also capon, hen , goose or turkey! Few Label producers can offer such a wide range of poultry: SAVIC Challans Red Label breeders are THE true specialists! The Red Label certification body, backed up by an independent certification Body, guarantees several audits. Moreover, the INAO (member of the French Agriculture and Fishing authorities) also controls the whole rearing and production process. 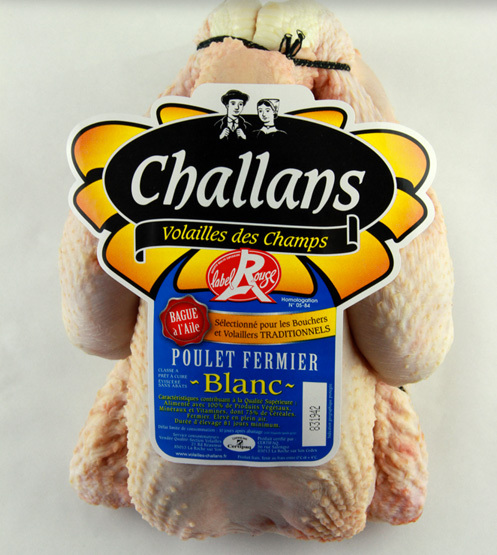 Free-range White–Leg Chicken (Challans Red Label) 100 days minimum ! Free-range Challans Red Label Black-Leg Chicken, the pride of Challans breeders ! Free-range Challans Red Label guinea fowl , a unique flavour !